EJFE is dedicated to provide an international forum for presenting high quality empirical and theoretical articles concerning technical, economic, and social aspects of forest operations and technologies. EJFE allows the authors to hold copyright and retain publishing rights without restrictions. 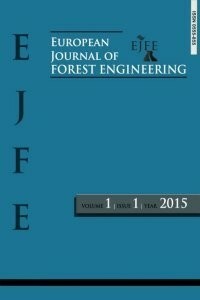 European Journal of Forest Engineering is published in two issues (in June and December) per year. The works published in European Journal of Forest Engineering (EJFE) are licensed under a Creative Commons Attribution-NonCommercial 4.0 International License.